A vital tool for offices and schools alike, our Whiteboard Eraser offers an exceptional price paired with a high-quality product. It has been designed to effectively clean all the ink from your whiteboard when used with wipe clean inks. The easy grip rectangular design is comfortable for all ages with a solid back to indicate which side is appropriate for cleaning. 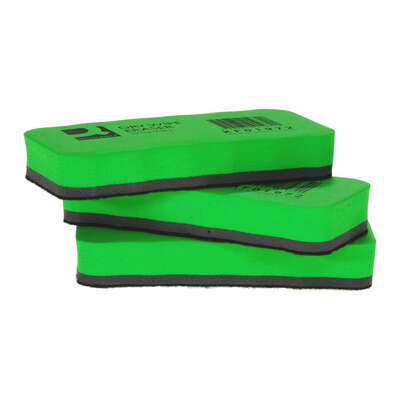 This eraser is lightweight and durable with a washable design that allows it to retain it's original quality. And finally, the low price means you'll be able to issue a whiteboard eraser to every member of your class or team when working on group sessions. Consider adding our Drywipe Markers Assorted or the large Whiteboard with Wooden Frame to your basket today to complete the entire set. Our products are all manufactured to the highest quality and offered to you for exceptional wholesale prices.